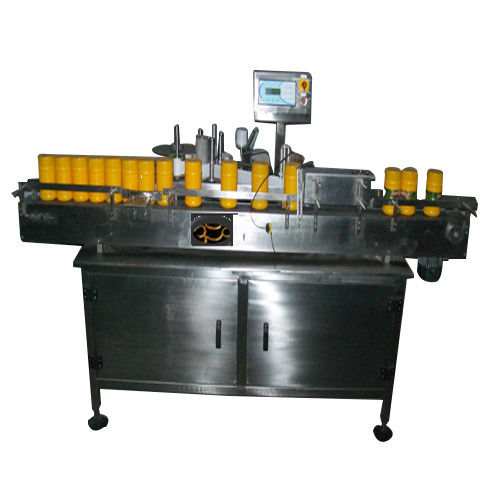 Pioneers in the industry, we offer fully automatic bottle labeling and gumming machine, sparkler type liquid filter machine, ropp cap sealing machine and conveyor with food grade belt from India. Capacity 3600 to 9000 Nos. Fully Automatic Gumming anPesticides Processing and Packaging Machineries and Labelling Machine or alternatively via unscrambler which acts as an accumulator as well as a feeder. The timer times the bottles to meet gummed labels on the vacuum drum received by it from the master. The master is gummed by the rubber roller in a gum pot mechanism and picks up a label from the label box. Adequate message belts even out the labels wrinkle free. The circumference of the bottles. Can also be made suitable to label on the front face of flat bottles. Suitable glud/adhesive to be used. Label master confirming to the size of the label provided Suitable for output speeds upto 120 BPM. For round and 90 BPM. For flat bottles. Suitable for labels having width of 50 mm to 135 mm. And height of 20 mm to 130 mm only. Complete with 6 plates of 200 mm. Dia. Supplied complete with stainless steel gear pump. Driven by ½ HP.220 V. AC. Motor mounted on a trolley with stainless steel covered top and legs. It is also provided with stainless steel interconnecting pipes with ball valves so that same can also be used as a transfer pump. All the contact parts are made out of stainless steel 304 quality. ½ HP. 220 V. AC. Higher Capacity Model Available on Request. ROPP CAP Sealing machine is ideal for continuous heavy duty operations. 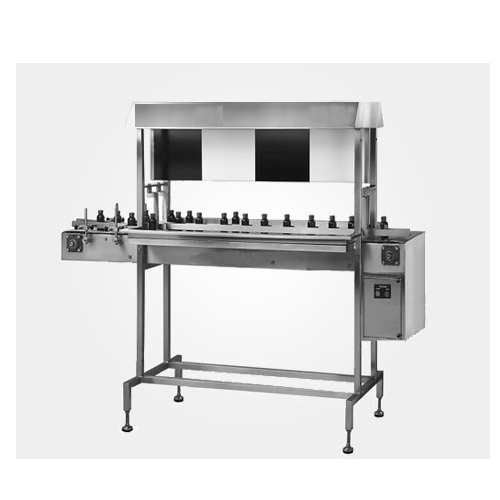 The capping machines are ideal for application in pharmaceutical, , food, agrochemical, edible oil, lube oil and other packaging applications. 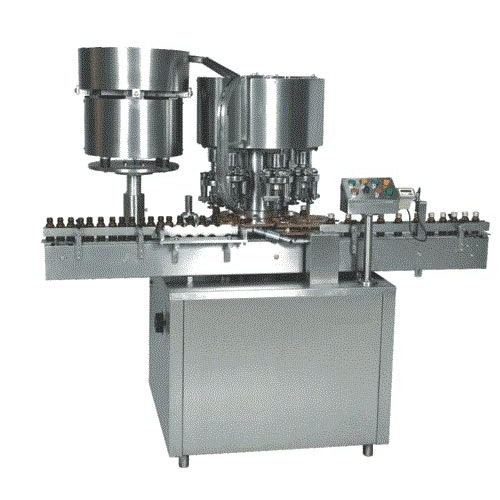 Cap Sealing machines are equipped with hopper feeder for standard height of caps to feed the cap on to the bottle neck for online capping. We are among the respectable organizations, engaged in offering our clients with Conveyor with Food Grade Belt. These are available in different models and sizes at industry leading prices to meet the demands and requirements of clients. In addition to this, we stringently check all the finished products on various parameters to assure zero defect. 10’ long Made out of strong angle ss. Frame. The total width of the table will 33” leaving 12” working space on either side. Driven by 1 HP. TEFC 440 V. AC. Motor. Through reduction gear box with tension idler, roller etc. 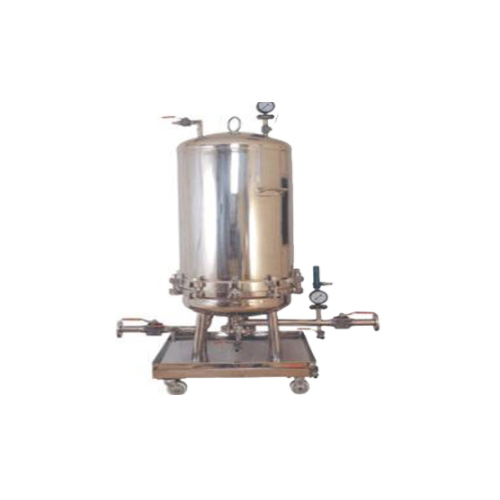 Looking for “Pesticides Processing and Packaging Machineries”?